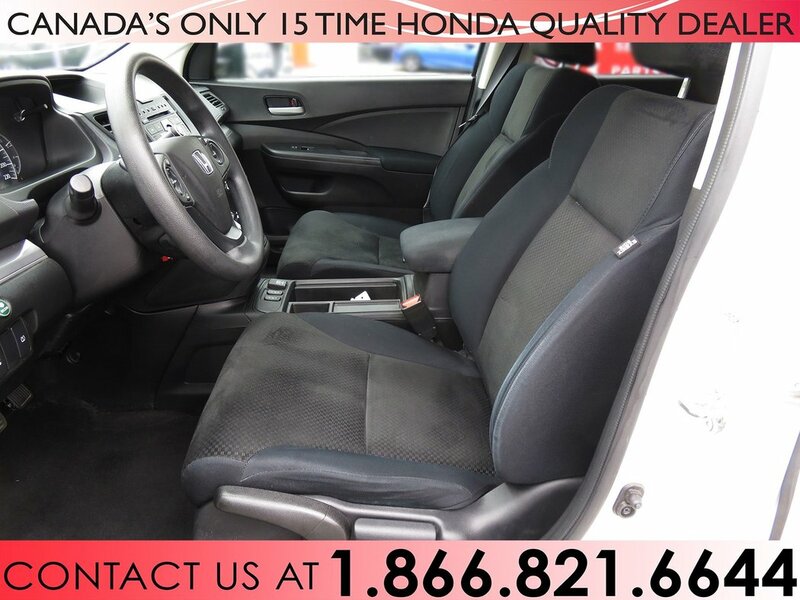 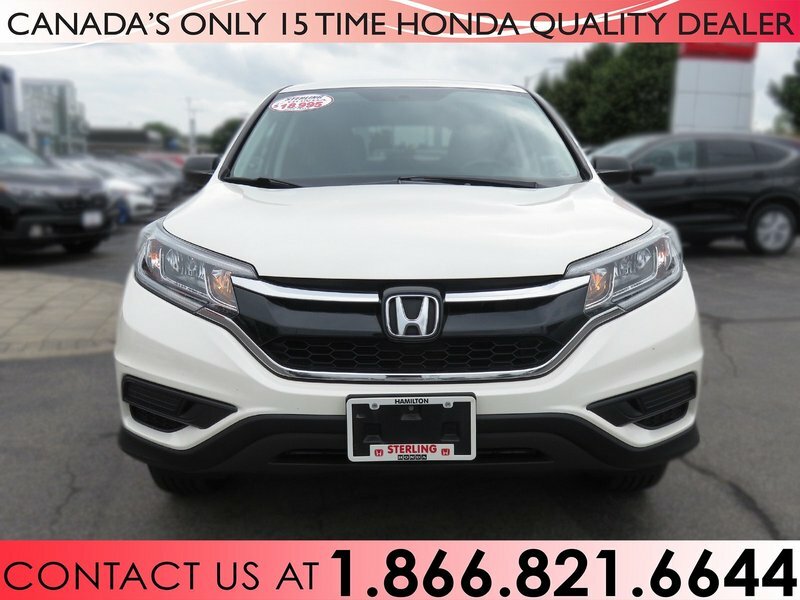 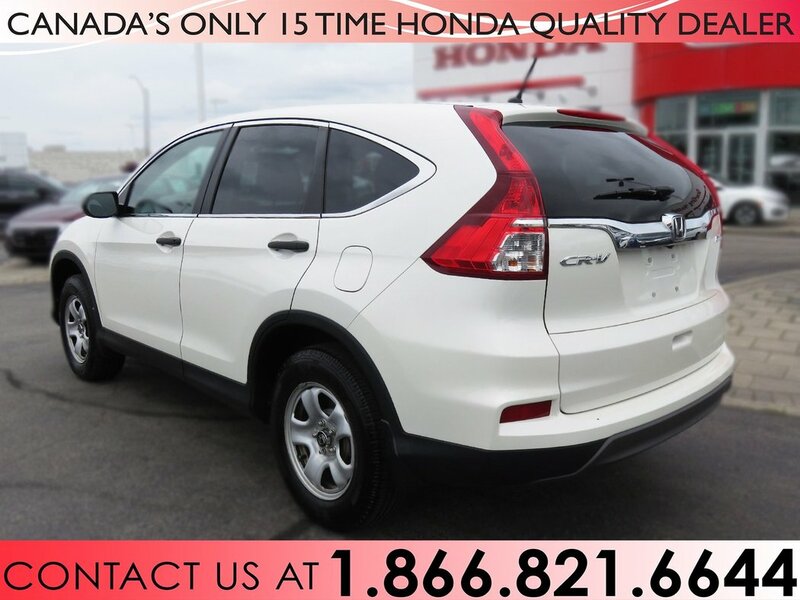 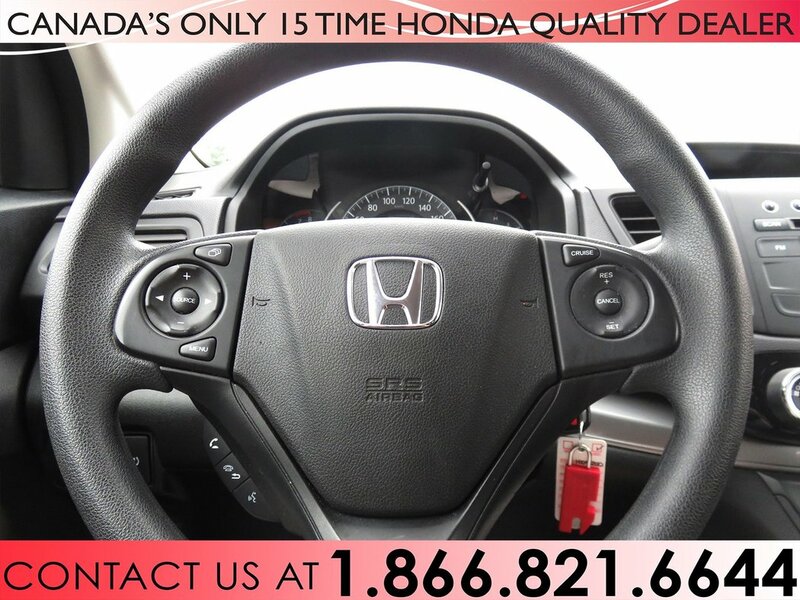 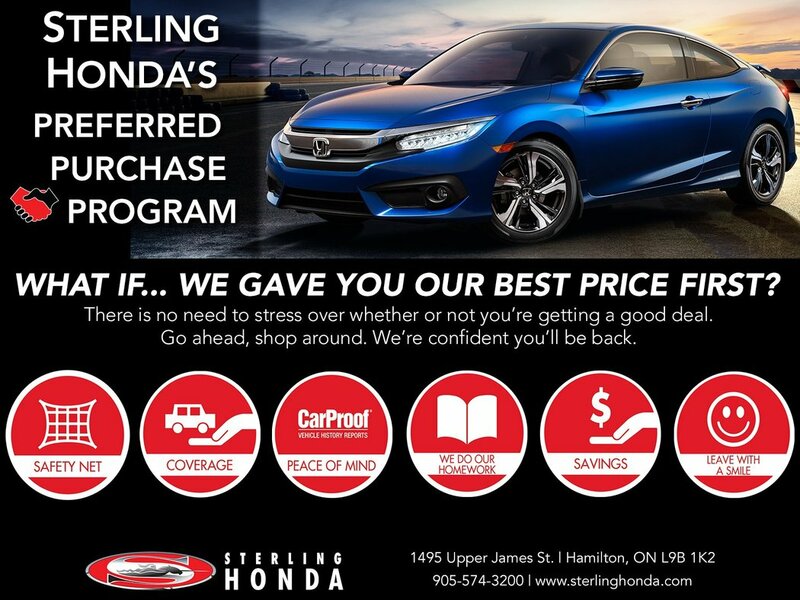 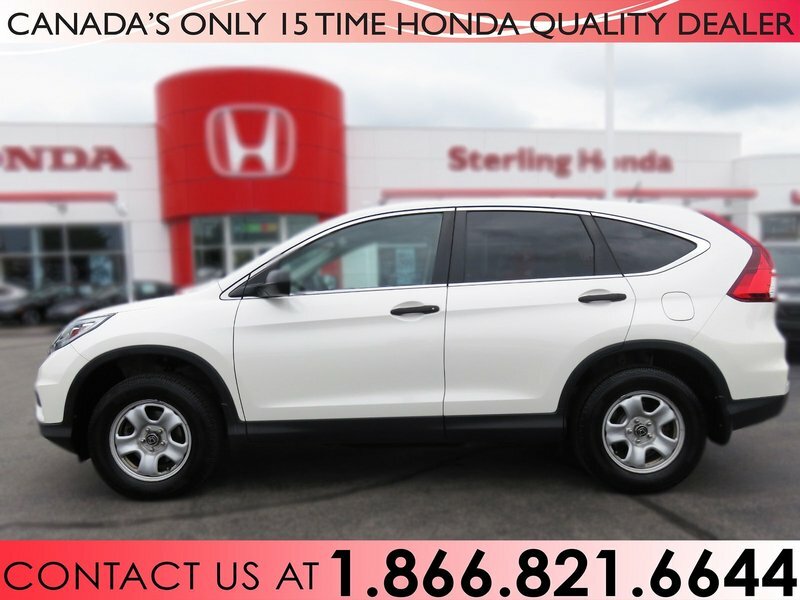 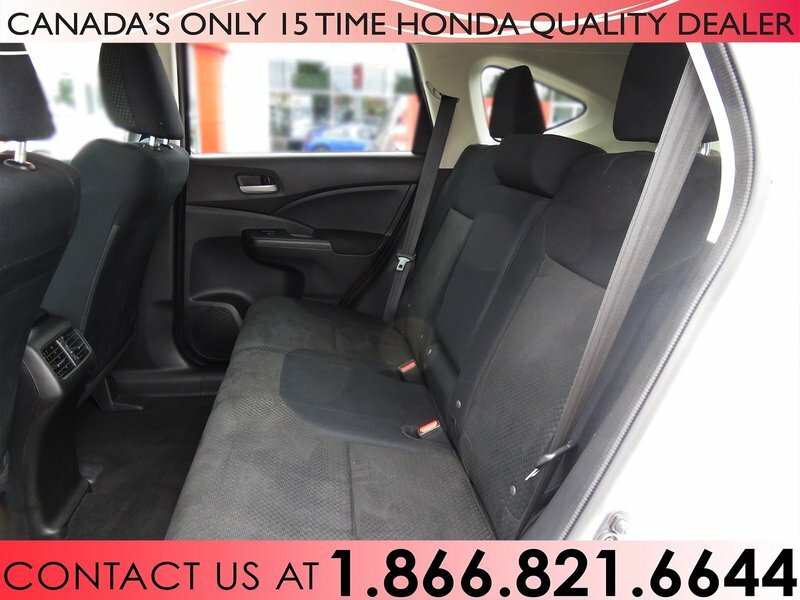 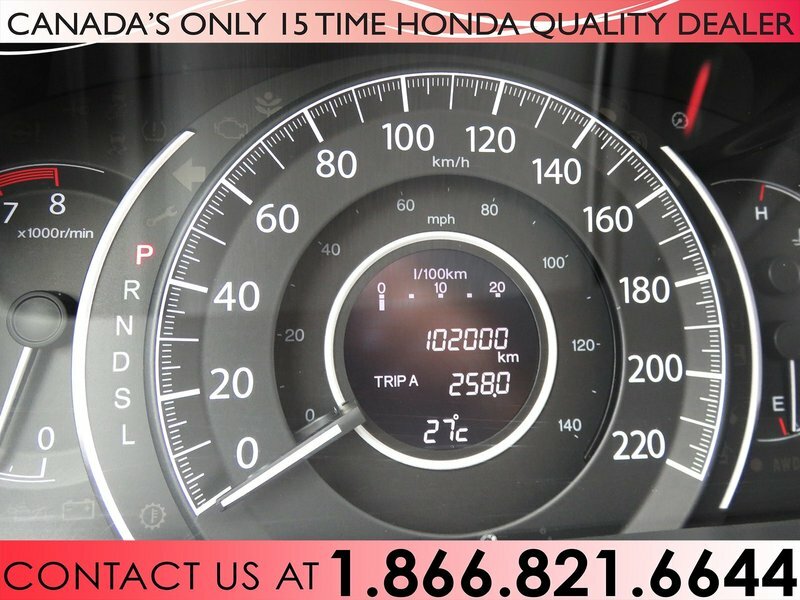 This 1 owner 2015 Honda CR-V LX is accident free and comes with a complete service history from Sterling Honda! 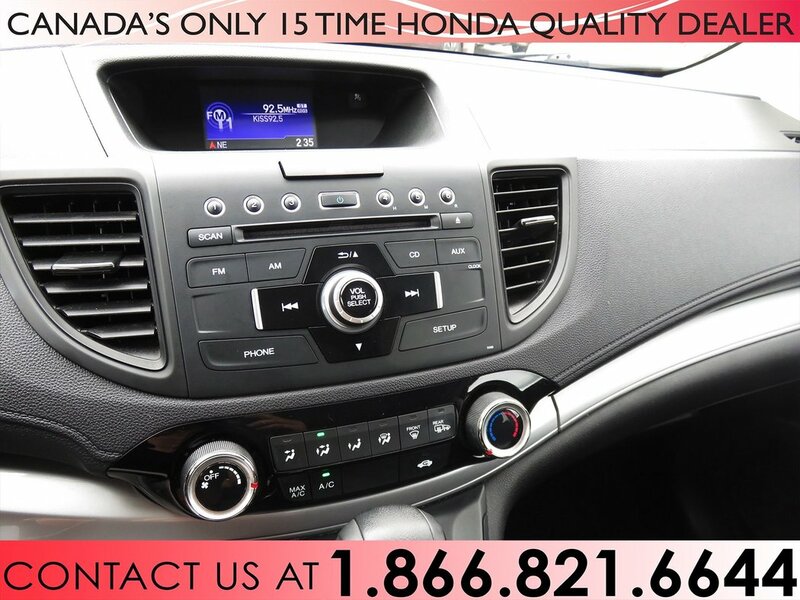 Knowledge is power and with the complete records of this pre-owned vehicle, you'll have the power to make a wise purchase. 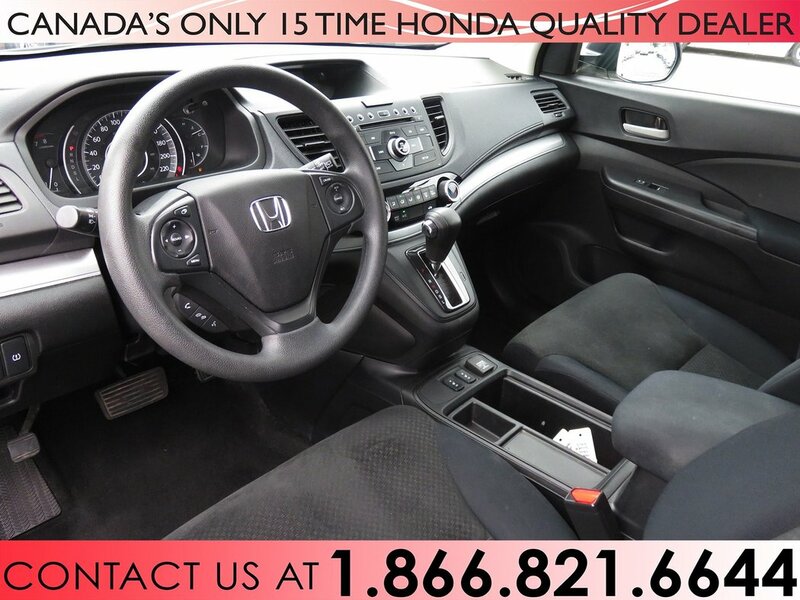 Pre-Owned doesnt have to mean "used." 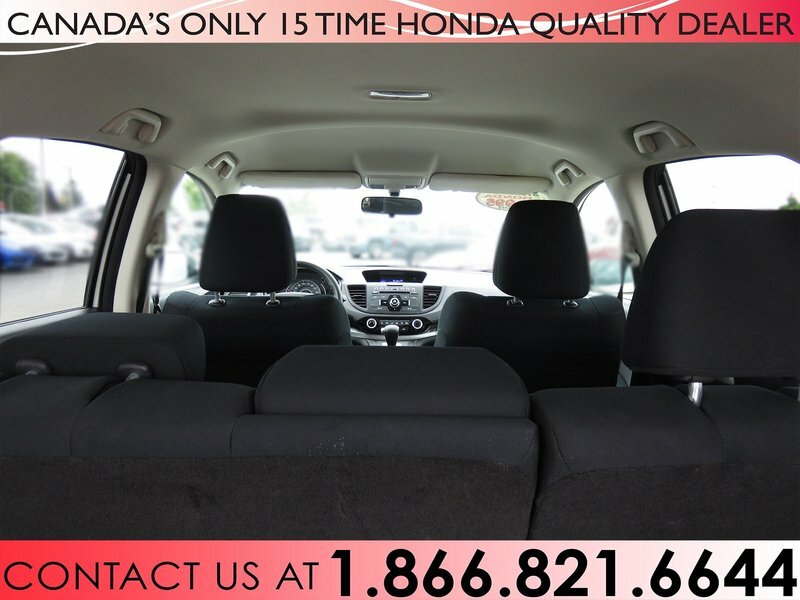 The clean interior of this Honda CR-V makes it one of the nicest you'll find. 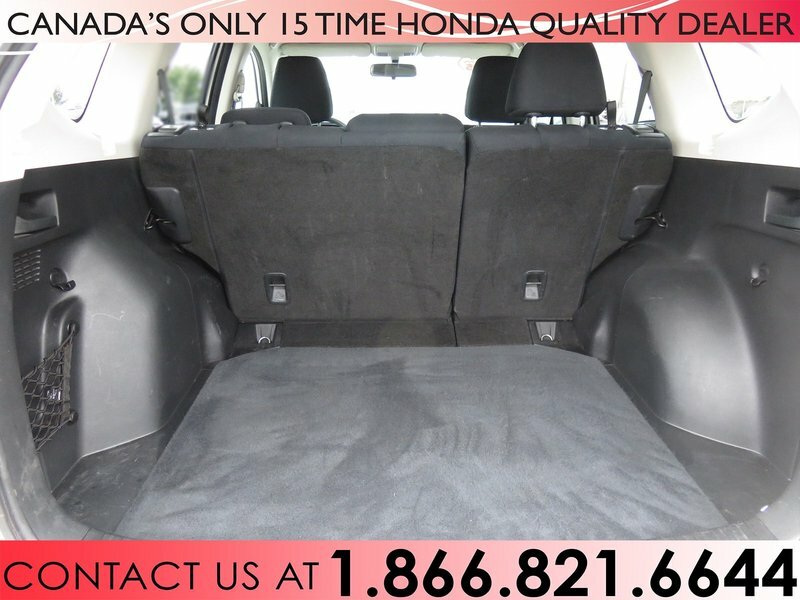 There are no tobacco or pet odours and the interior has been kept in excellent condition. 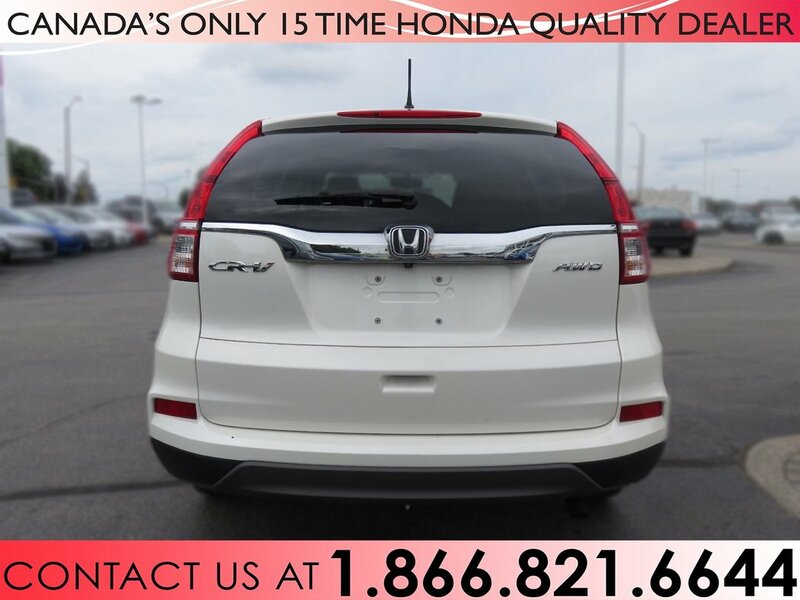 We have had our service technicians fully inspect this CR-V and service all fluids and filters. 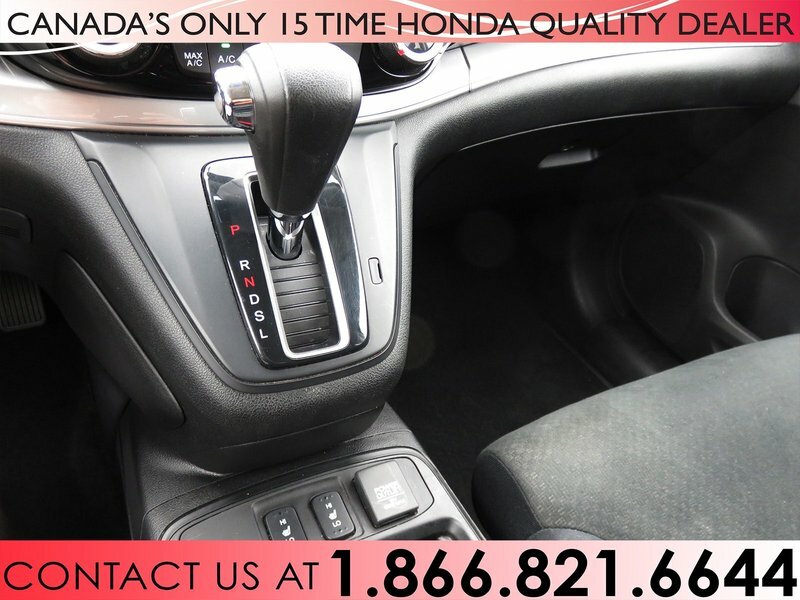 Our professional detailers have thoroughly cleaned the interior and exterior for you. 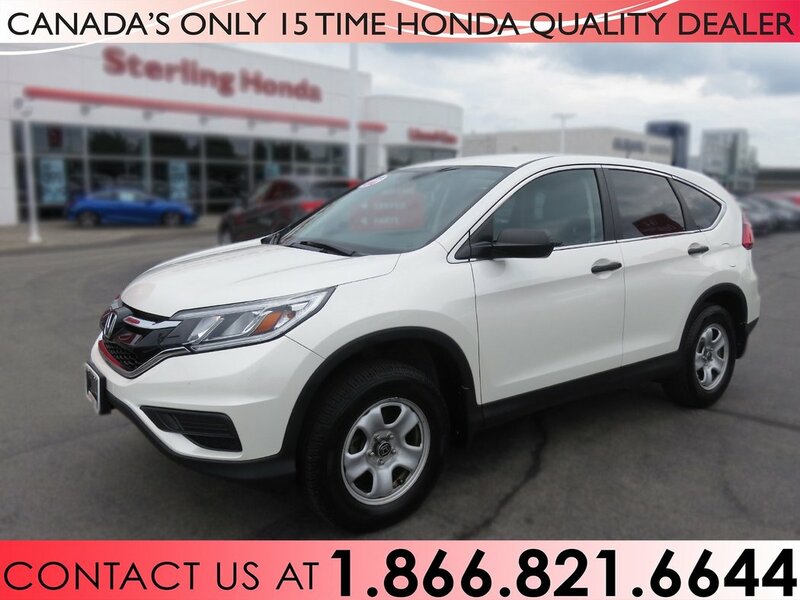 This SUV does not disappoint with front wheel drive and a 2.4 litre i-VTEC in line four cylinder engine, it is one of the smoothest rides you will experience. 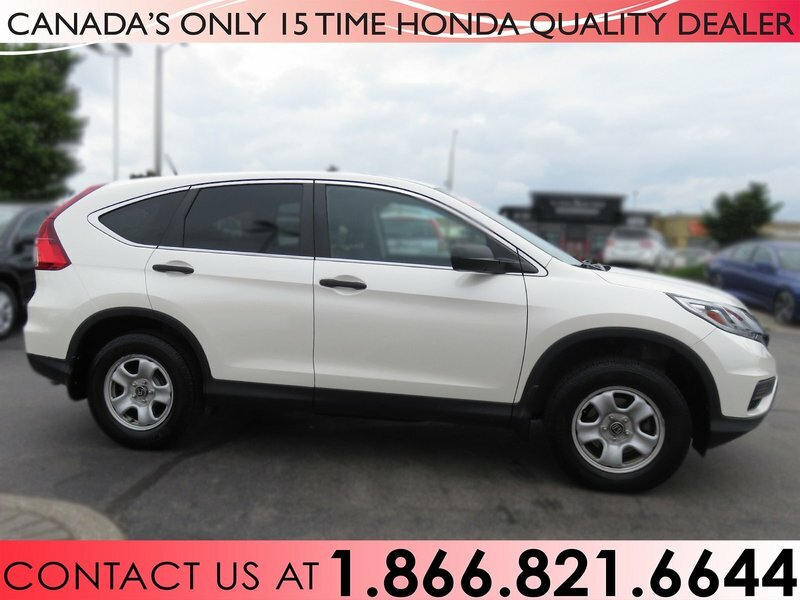 Give us a call today @905-574-3200 and find out why this should be your next SUV.